In the advent of our holiday weekend, we want to know why you love Austin! 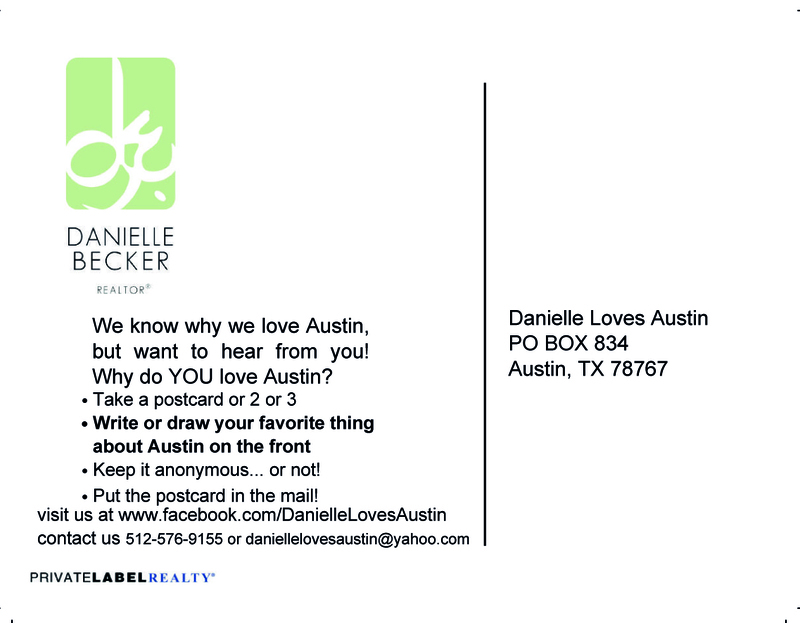 Be on the lookout for our “Why do YOU love Austin” postcards. Grab one, two, three… Get creative and let us know why Austin is what it is to YOU. Drop it in a mailbox (they come PRE-STAMPED!) and let us know! Cheers! Have a very happy and safe Fourth!